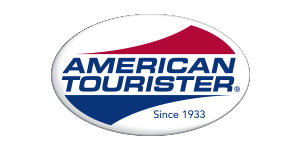 Formed in 1933, American Tourister is one of the world’s biggest and most trusted luggage brands. Travelling with style and confidence is at the forefront of the American Tourister philosophy. Available in over 80 countries, the hard luggage and soft luggage manufacturer are continually coming up with more sleek and innovative designs that suit our customers travel needs as well as their hip pockets. The American Tourister Curio, Applite & Sunside all prime examples of the brand’s stylish take on luggage.